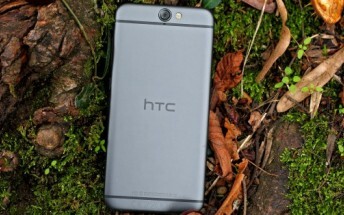 HTC One A9 – the phone to redeem HTC’s past mistakes and the hope for higher sales. Our review impressions turned out a mixed-bag – the One A9 indeed is a device of great build, snappy and offers capable camera, but it’s quite expensive right now. The holiday season is upon us though and we hope in just few weeks the price goes down to more reasonable levels. And while we are waiting for the change, we present you the full battery breakdown. HTC One A9 is powered by a 2,150 mAh non-removable Li-Ion battery, which looks about right for a 5" device. We've seen Samsung AMOLED's produce great battery endurance, but we've also seen quite poor non-Samsung phones with AMOLED. So, we were very eager to put the One A9 through its paces. The 3G talk time endurance turned out unimpressive, though expected considering the battery capacity. The web browsing experience is what turned out to be the phone’s Achilles’s Heel – the One A9 managed to last only 5 hours and 22 minutes on our web script, which is a really poor result. We guess the AMOLED power management isn’t great on the One A9. The video playback turned out better than we expected after the disappointing web performance. The One A9 played our looped video for 8 and a half hours before its battery dropped down to 10%. The AMOLED screen or maybe the Snapdragon 617 chip, turned out to be the villains for the One A9. The phone did very poorly when it comes to web browsing, while it outed average scores on 3G calls, video playback and 3G standby. Thus the final endurance rating of 46 hours is below the average mark. The 46 hour rating means you can count on just under two days if you do an hour each of calling, browsing and video playback a day. The One A9 supports Quick Charge 2.0 and the upcoming Quick Charge 3.0 standard, and can replenish the battery blazing fast once hooked on a proper fast charger (9V). Unfortunately, HTC isn't providing a Quick Charge enabled charger in the retail box.